Gravel Road Acoustic Trio, based out of Charleston, South Carolina, is made up of three multi-talented musicians whose different backgrounds bring together a unique and exciting mix of music that includes bluegrass, country, and popular favorites. Gravel Road performs across the southeast and has appeared on "Lowcountry Live" as well as "Song of the Mountains," filmed in Marion, Virginia. The group's unique arrangements of tunes along with their vocal harmony precision make them stand out from the average bluegrass band. Meg Monroe High (lead and harmony vocals) is a native of Burlington, North Carolina. She is a multi-talented vocalist who can sing anything from bluegrass and country to pop and jazz. 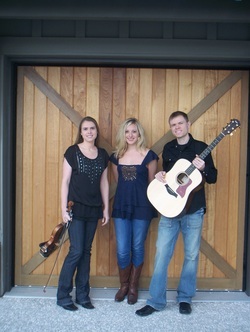 Her diverse taste in many musical genres brings a true creative spark to the Gravel Road Acoustic Trio. Derek Deakins (guitar and vocals) is a multi-instrumentalist who plays fiddle, guitar, and mandolin. 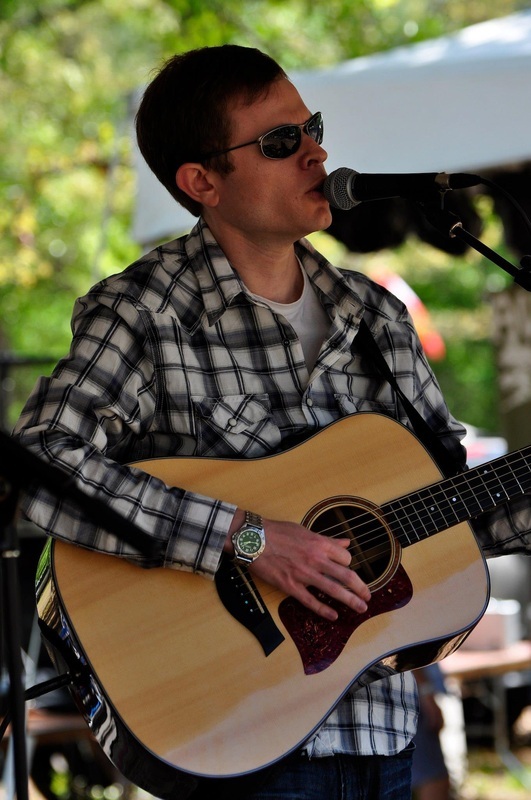 Derek is originally from eastern Tennessee and grew up playing bluegrass and country music. After graduating from high school, he moved to Nashville, Tennessee, where he landed his first professional job playing with James Monroe, son of Bill Monroe, the father of bluegrass music. Derek also played fiddle with bluegrass legends and Grand Ole Opry stars The Osborne Brothers for three years. Most recently, you may have seen Derek playing across America with country music superstar Blake Shelton. Derek holds music degrees from Belmont University in Nashville, Tennessee, and East Carolina University in Greenville, North Carolina. When Derek isn't performing, he is enjoying his position as the guitar, music theory, and orchestra teacher at Wando High School. He was also recently named a quarterfinalist for the 2017 Grammy Music Educator of the Year Award. Visit Derek's website for photos, videos, and more music! 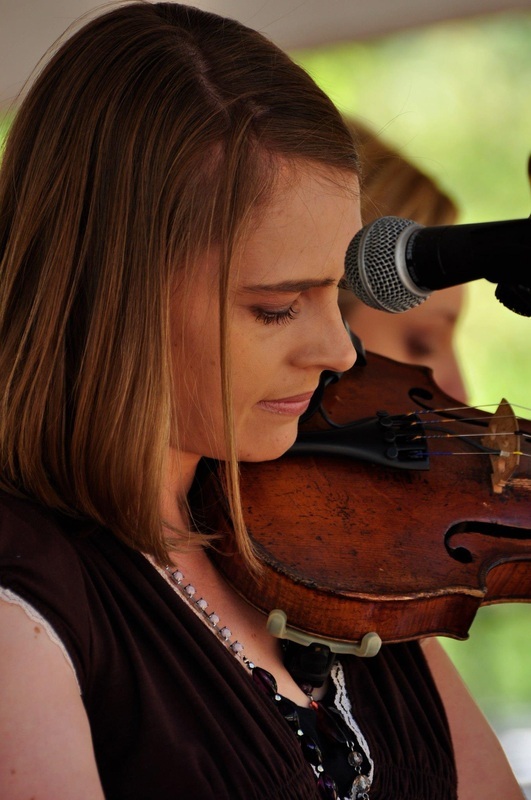 Lisa Manning Deakins (fiddle and vocals) has been playing the fiddle since she was four years old. Originally from Burlington, North Carolina, Lisa moved to Nashville after graduating from high school and worked professionally in the music industry. While attending college at Belmont University, Lisa began playing fiddle and singing with country music superstar Pam Tillis. After graduating in 2006 with a degree in music, Lisa went on to play with Grand Ole Opry star Whisperin’ Bill Anderson. Her television appearances include Grand Ole Opry Live! and the Crook and Chase Show. 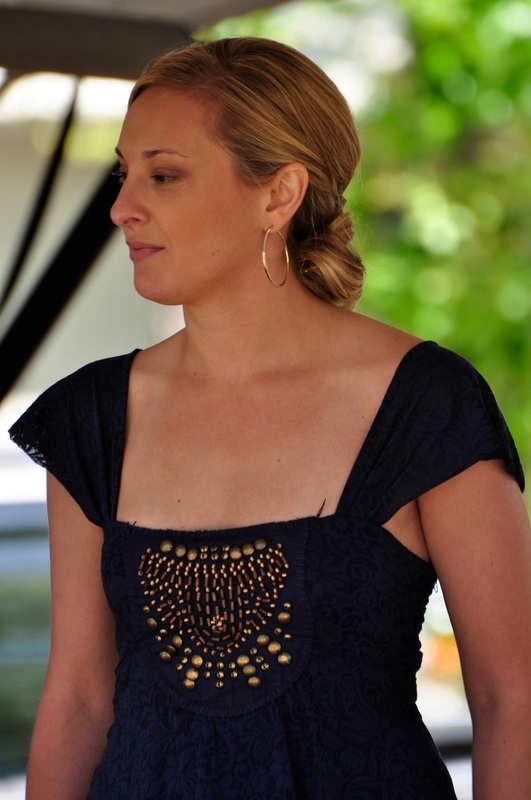 Additionally, she has won an International Bluegrass Music Association award for album of the year with the Daughters of Bluegrass for her fiddle contributions to the CD “Bluegrass Bouquet.” Lisa also holds a Master's degree in Music Education from East Carolina University and enjoys teaching young violin students using the Suzuki method in her studio Deakins Suzuki Strings. Visit Lisa's website for more of her music! Copyright © 2017 Gravel Road Acoustic Trio All Rights Reserved.